On Tuesday, May 20th, I sat for the VCAP Desktop Administrator Exam in Milwaukee. The exam covers a broad range of topics on Horizon View, Persona Management, and other related infrastructure components such as Group Policy. Although I don’t work with View on a daily basis anymore, I wanted to sit for this exam as $work will be starting a Horizon View implementation this summer. I received the official score report on Thursday night, and I did not pass. I scored a 278 out of 500. My exam experience mirrors Jason Shiplett’s first attempt. I ran into an issue early in the exam that cost me time – time that I could have used to complete a few of the questions that I had in progress when the exam ended. I didn’t prep as well as I should have before this exam. I read through the blueprint, and I reviewed Chris Beckett’s VCAP DTA study guides. Despite these two resources and a lot of hands-on experience with View, I went into the exam with some huge gaps in my knowledge in areas of the product suite that I hadn’t worked with in my lab or a production environment. Unfortunately, the agreement that I had with my wife was that I would only get one crack at the exam before VMworld, and I will need to wait until August before I can take it again. That will give me a little more time, though, to work on the areas where I need improvement. 1. Time Management is critical. You have a very short time to complete the 23 questions on the exam. Spending too much time on one area will hurt you. You may also need to bounce around between questions. I tried to use the materials my testing center provided to keep track of where I was. 2. If there is a task that you don’t know how to do, skip it and come back to it later. You’ll lose too much time if you’re searching the documentation. 3. Hands-on Experience is a Must. This is a practical exam, and you’re tested on successfully completing tasks. You won’t be able to pass this exam if you don’t actually put View in a lab and try to work through the blueprint. 4. Read the blueprint and Chris Beckett’s notes that I linked to above. It’s good to have goals. It’s good to have goals that seem like they might just be a little out of your reach as they force you to challenge yourself and grow. 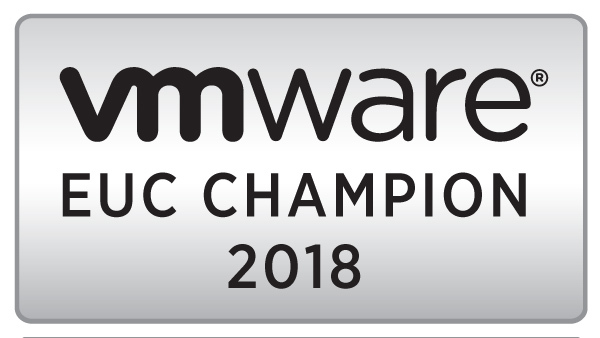 On Thursday, I completed the goals a set of personal goals that I had set for myself at the beginning of the year – achieve my VMware Certified Professional Certifications on the Data Center and Desktop products. I passed my first VCP exam in August at VMworld. I passed the VCP Desktop exam Thursday morning. This was actually the second time I took the Desktop exam. The first time I took it was on the last day of VMworld. I hadn’t actually planned on taking the test, but I had some time to kill before my flight. I barely missed a passing score on that exam, which I thought was pretty good considering that I had not prepared for that exam in any way and was rushing through it at the end. After a month of reviewing Jason Langer’s VCP5–DT study guide, I was ready to sit for this test again. So now that I’ve achieved these two certifications, I’ve been trying to decide what’s next. It didn’t take long to set a new goal – to become a VMware Certified Design Expert, or VCDX, within three years. VMware Certified Associate (VCA) – a new entry-level certification track. Does not require any classroom training. Think of it as an associates degree. VMware Certified Professional (VCP) – The primary VMware certification. Requires a 5–day instructor-led classroom training and proctored exam. This certification is required to attempt any higher level certifications. Think of it as a Bachelor’s degree. VMware Certified Advanced Professional (VCAP) – The level above the VCP, and a VCP is required to try for this certification. Does not require any additional classroom training, but it does require in-depth knowledge of the products you are being certified on. Under the current programs, there are two VCAPs that you can get for each product track – Design and Administration. Design focuses on the planning and design steps of implementing the product, and Administration focuses on actually running it once it is implemented. This is equivalent to a Master’s Degree. VMware Certified Design Expert (VCDX) – This is a PhD of VMware Certifications. In order to even attempt this certification, you need to hold both the Design and the Administration VCAPs for the VCDX you’re attempting. Anyone aspiring to this level needs to submit a design for a VMware environment. If that design submission is accepted, they will need to defend that design in front of a panel of VCDX holders. Some people have spent over 500 hours on their designs or gone in front of the panel multiple times. Like I said…it’s the PhD of VMware Certifications. (For the record, the two certifications that come closest to this are the soon-to-be-defunct Microsoft Certified Architect, which was a very expensive certification that required learning from the programmers of the Microsoft system followed by a panel defense and the Cisco Certified Architect, which requires a CCDE and a panel defense). There are only around 125 VCDX’s currently. I have two take two advanced certifications before I can even attempt to submit a design for the VCDX. Depending on what products are released in the next couple of years, I will have to recertify to keep current. I want to get a lot more real-life experience, especially in the design area. The design work for the submission will take a significant chunk of my time. Baby Massey #2 is slated to arrive in early April. I have put together a plan that will get me into position to meet all of the prerequisties of the VCDX within a year, and I’m starting to build up my home lab so I can really dive into this. Now, I may never reach this goal. This is a very difficult road to go down. But there is no harm in not making it to this destination as this road is also filled with the rewards of knowledge and growth. A good friend of mine recently wrote a blog on how to get hired. Most of the blog posting talks about the interview process and his reflections on the experience performing mock interviews with college students studying IT. Talent is rarely raw and pure. It is something that is honed through patience and practice. It’s not just the successes and failures on projects and teams but applying those lessons you learned. What everyone does have, though, is potential. Potential is like a lump of clay or a block of marble. To the average person, it appears to be nothing extraordinary. But in the hands of a skilled artist, we get amazing works like Michelangelo’s David or the Venus de Milo. When you think of talent in terms of a career, I often think of job skills. IT is a career path where one can easily keep their skills sharp and develop new skills. There are a couple of ways that one can easily develop their technical skills, and anyone coming out of college with the intent of having a career in information technology should be doing some of these early in their career. One of the easiest ways to expose yourself to new technology or improve your knowledge of existing technology is to read about it. There are hundreds of books and blogs about every area of information technology. There is a ton of information that can be gleaned from spending twenty minutes a day reviewing your RSS feeds. I have 132 blogs in my Google Reader account. Most are technical blogs. I know that sounds like a lot, but once you filter through the obvious marketing posts from sites like TechRepublic, there is a lot of good content, and you can usually get through everything by spending 20 minutes per day. A large chunk of those are also Microsoft blogs. It seems like every product team at Microsoft has at least one official blog, and unlike many other vendor blogs that I’ve followed, the content usually seems to be geared towards technical readers. Two good examples are the Exchange Team blog and the Ask the Directory Services Team blog. Aside from vendor blogs, there is a lot of good community generated content. I could list off a large number of blogs by other systems administrators that I consider good sources on a variety of topics, but then this would turn into a blog about other good blogs. Another good source of content are sites like Server Fault and Stack Overflow. Server Fault and Stack Overflow are a pair of websites that are geared towards IT Pros and programmers where users can turn to for community advice by asking questions about problems, projects, and how to handle different situations. Technology certifications are usually offered by vendors to certify that someone has a level of familiarity with their products. For an experienced IT professional, it proves that you know something, and it can help round out your knowledge of a particular product. For someone just entering the workforce, it can give you some hands-on knowledge. Entry-level certification often involves one of two paths: self-study or classroom. I tend to focus more on the self-study, and this is usually the cheaper option for someone who doesn’t have a company paying for a week-long bootcamp. When I say hands-on experience, I don’t mean the kind of experience you get when someone is paying for your time, or when you are volunteering for an organization. I mean the kind you get when you experiment on your own time. In my opinion, this is probably the best way to learn about technology. The nice thing about IT is that you can easily get experience on enterprise-grade hardware and software. Dell offers decent entry-level tower servers for $500-$600. A Microsoft Technet Plus subscription runs about $150 for the lowest level package, and VMware and other vendors offer free versions of their enterprise software that allow a user to learn the basics of the system even if they are functionally crippled. And you can’t forget about Linux and the other open-source *nixes and software packages. It basically comes down to this – if you want to be a database administrator, you should be learning about databases by building them. If you want to be a Linux administrator, you should be setting up Linux servers. It pays off when you can go into an interview and explain a complicated problem that you solved on your personal network and what it taught you. One of my long-time personal goals has been to complete my CCNA. I took the first half of the exam in May of 2009. I’m about halfway through the book for the 2nd half of the exam, and that puts me knee-deep in IP Routing and routing protocols. Getting hands-on experience with the switching section (includes VLANs and Trunking) isn’t too difficult as I have a Cisco 2950 sitting in my basement as part of my home network. It’s the routing part that I worry about as I would like to have a little more hands-on experience as the exam includes questions where you troubleshoot simulated networks using actual device commands. I found a tool that emulates router IOS images, provided that I can acquire them. However, most of the labs I have seen seem to cover CCNP or CCIE topics like MPLS and BGP. Does anyone know of any resources that I can use for studying?